The reality of pursuing anything you’re super passionate about is the jealousy that can pervade you. Writing is no exception. When you start comparing yourself to other writers, their books or book deals you’re going down a dark path. Here are my tips to avoid jealousy when it creeps in. 1. Remember they started somewhere too. You might be seeing them at a different point in their career. I love this quote from Jon Acuff because it’s SO TRUE. 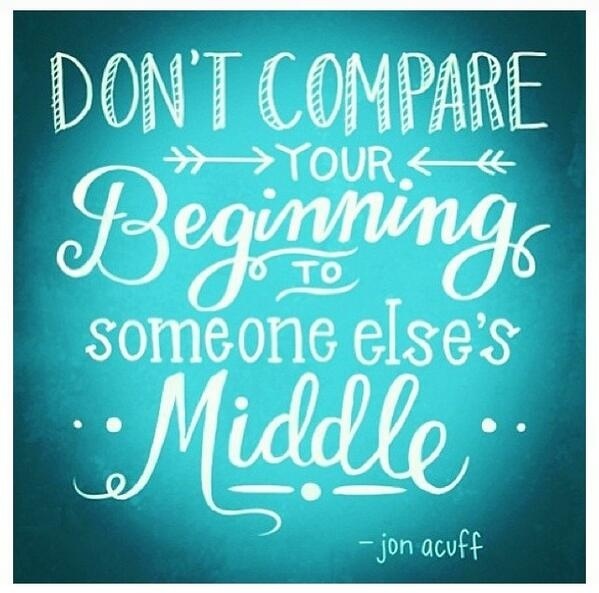 If you’re at the beginning and you are comparing yourself to someone in the middle of their career–there is no comparison! Apples and oranges. 3. Instead of turning inward with negativity, turn outward and support them. Writers that help build each other up have lasting literary friendships. You’ll notice the writers on their blogs and on Twitter that are constantly supporting each other. Not only is it good for the soul, it’s good for self promotion. Because when it comes time to promote your book your writer friends will have your back because you had theirs. Competition. It’s tough. Are you prepared? The competition to get published is greater than ever before. Us in the trenches will let you know that the expectations are very high, editors are on the lookout for specific books, and querying with something good won’t cut it; you need to go on submission with things that are great. Yes, agents can help you get your novel into tip top shape, but when we get your manuscript and start reading we don’t know if this is the best you’ve got or whether we can push you. Getting back in touch and suggesting revisions takes time, and we don’t have a lot of it. So never, ever, send out something that is ‘good’. Continue reading Competition. It’s tough. Are you prepared? Everyone has heard the saying ‘you only have one chance to make a first impression.’ Well, unsurprisingly this is also true in publishing. You only have one chance to show an agent or editor you are serious about writing, that your work is of high quality and that it deserves to be published. Submitting your work to editors before you have an agent. This can be problematic if/when it’s rejected and it wasn’t in top form. Depending on the circumstance an agent may have to cross that editor off the list if they’ve already seen it, and even if the agent does resubmit to that editor the first impression has already been spent on a manuscript that wasn’t ready. Submitting your manuscript to agents. First impressions with agents are equally important. If you have the wrong name at the top of your query letter, email an unprofessional rebuttal to your rejection letter, or have glaring mistakes in your manuscript agents will take this into consideration. If you cannot properly address a query letter how will you address a potential editor? If you dispute a rejection from an agent, how will you respond when your editor has revision comments? This all sets the tone for whether an agent wants to work with you and represent you. 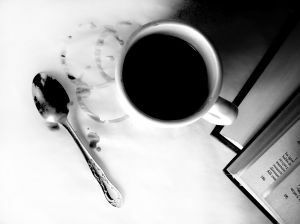 When an agent submits material on behalf of a client and introduces a client to their editor the agent’s reputation is also involved. We want to work with clients who are professional in their writing and interactions, always. NaNoWriMo also known as National Novel Writing Month: Don’t query December 1st if the manuscript is freshly written. You only have once chance to make a first impression with an agent so if the work you’ve been doing over November hasn’t been edited or fully flushed out early December is not the time to query. Save it for when it’s ready. Take your time, publishing is not a race it’s a long process so use strategy.